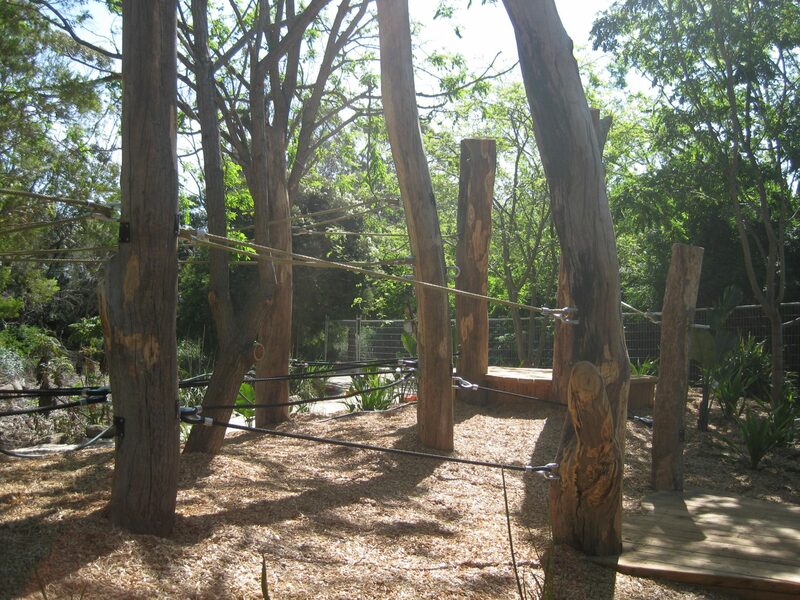 The Werribee Open Range Zoo identified a need for a small play area and shady picnic spot along the route that visitors take through the zoo. 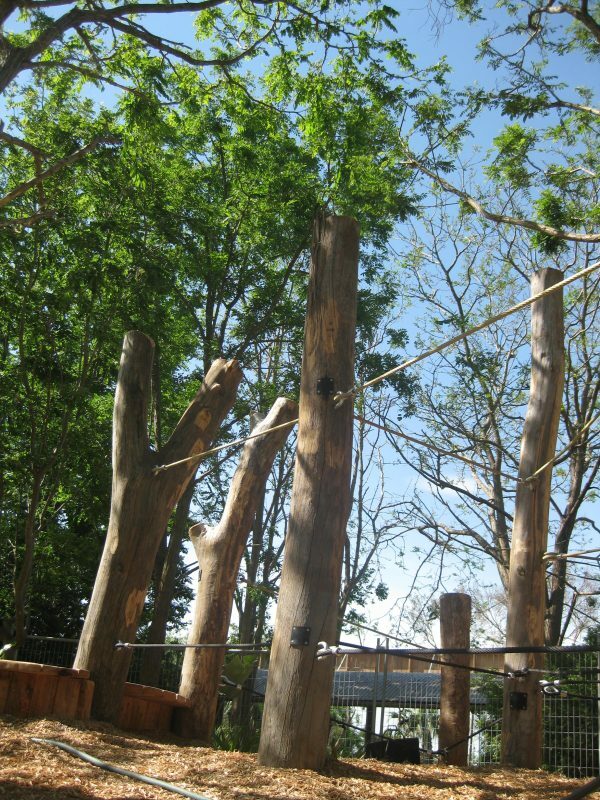 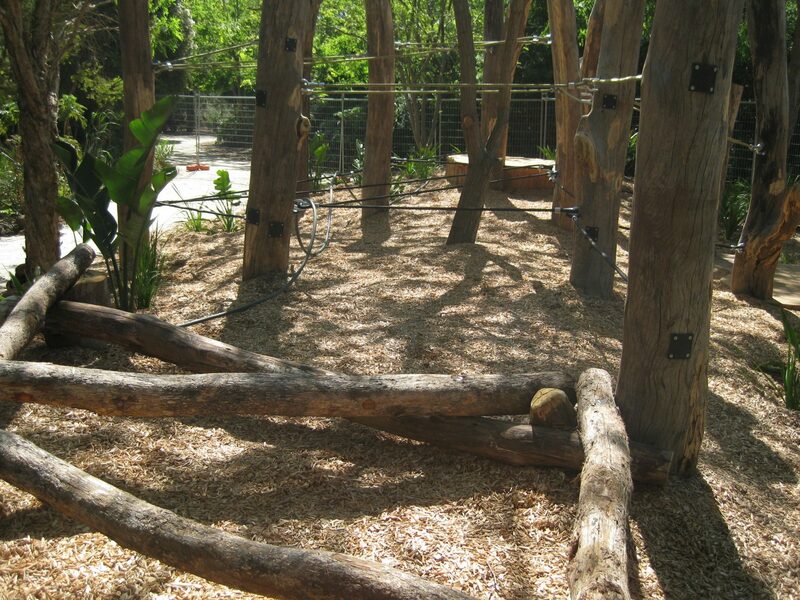 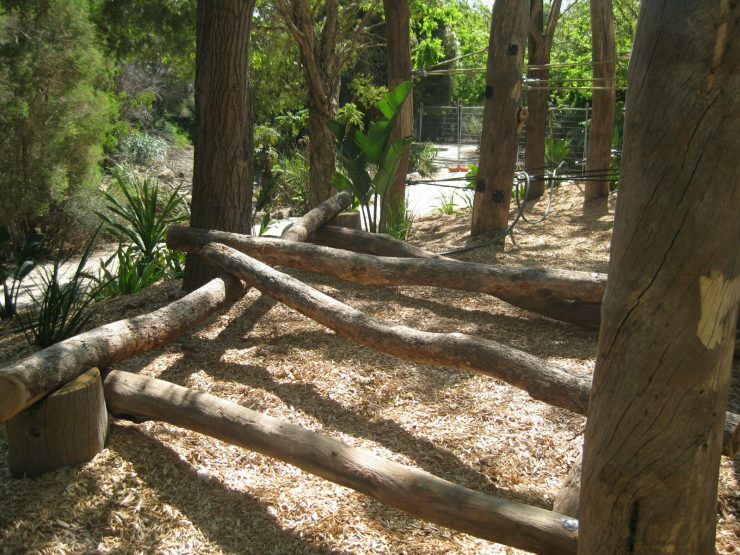 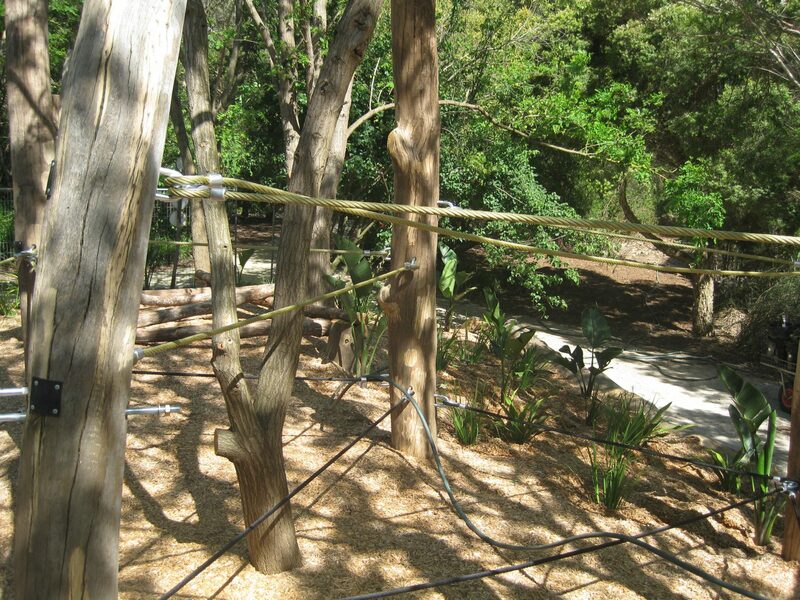 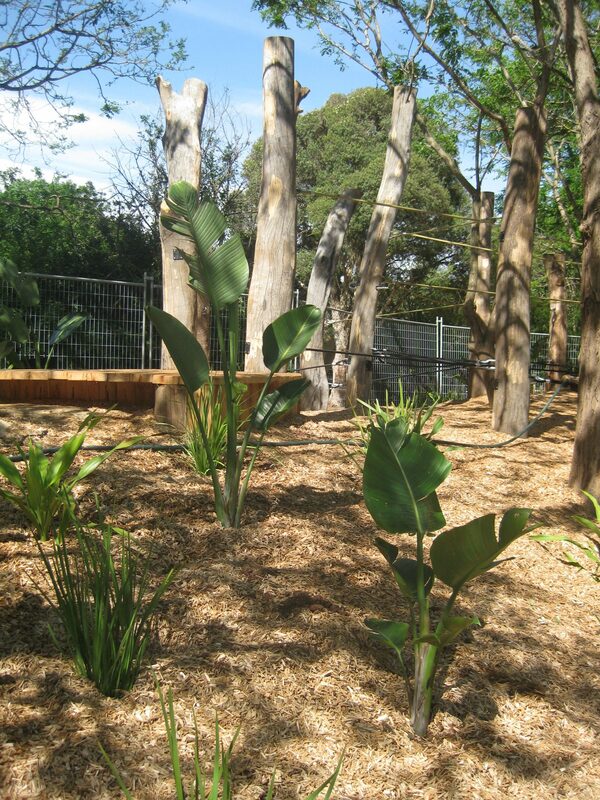 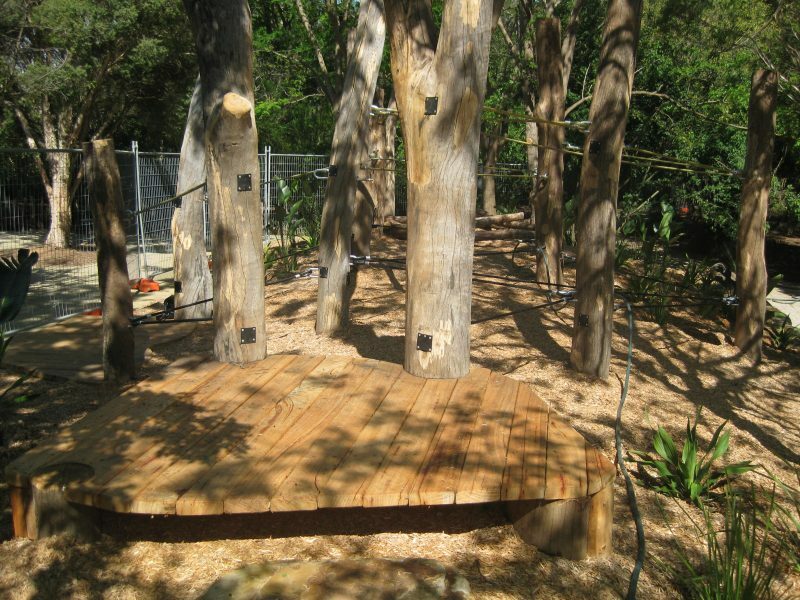 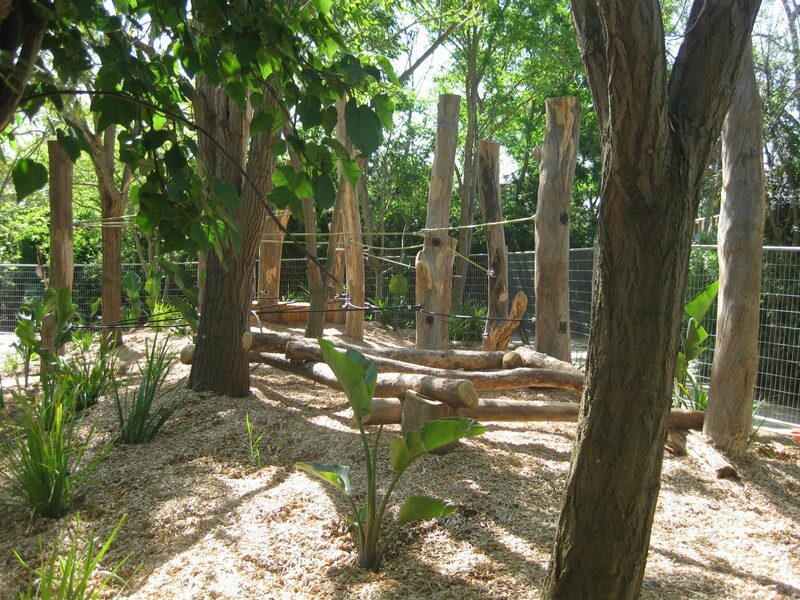 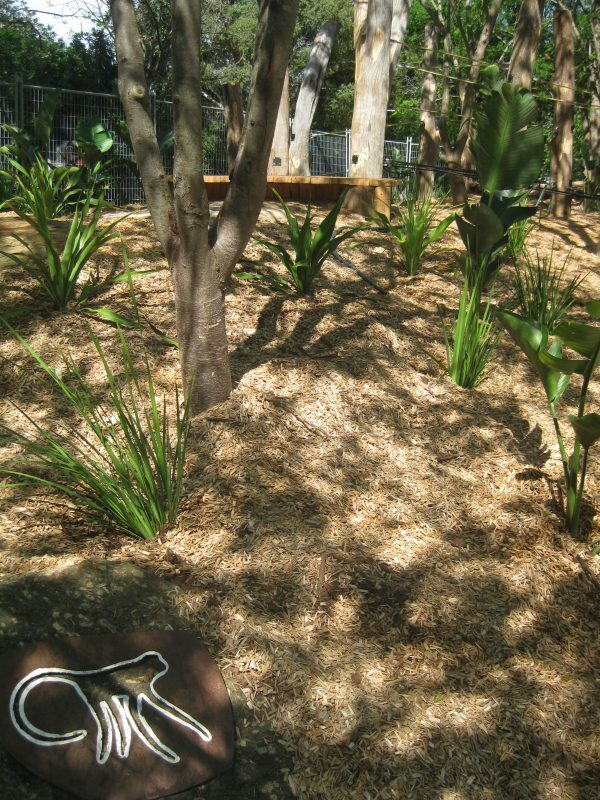 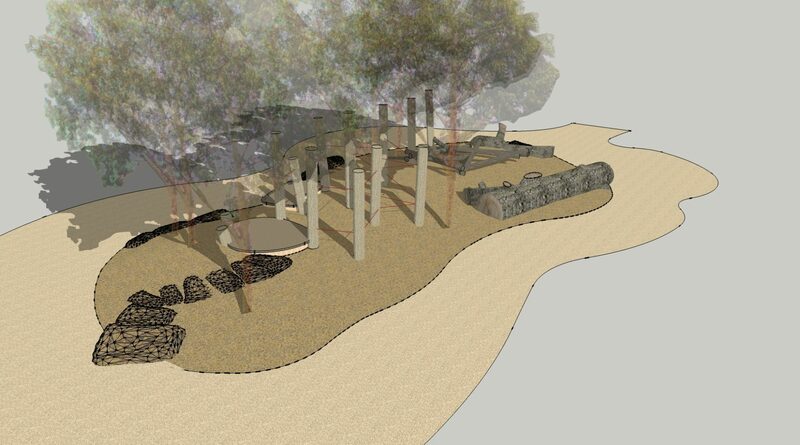 A treed mound adjacent to the Vervet Monkey enclosure was selected for “Monkey Play” – a space where children could mimic the behaviour of the monkeys in the nearby enclosure. 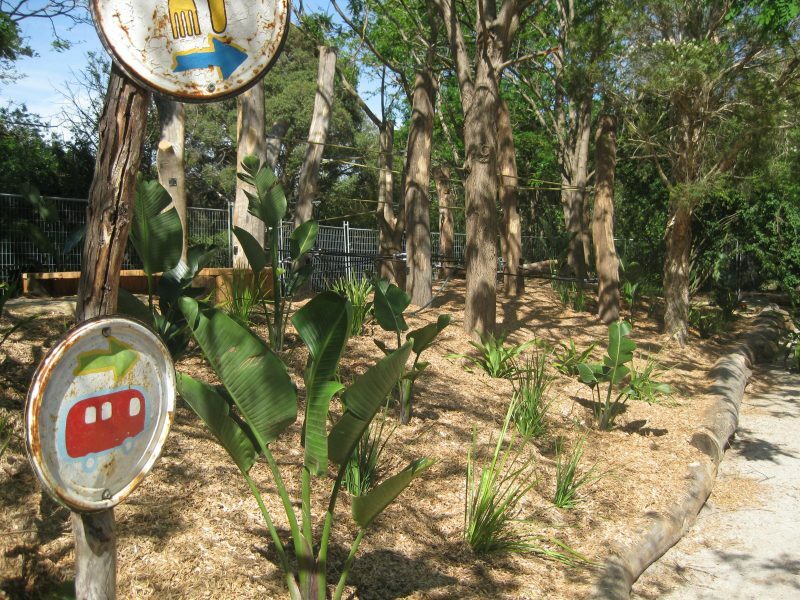 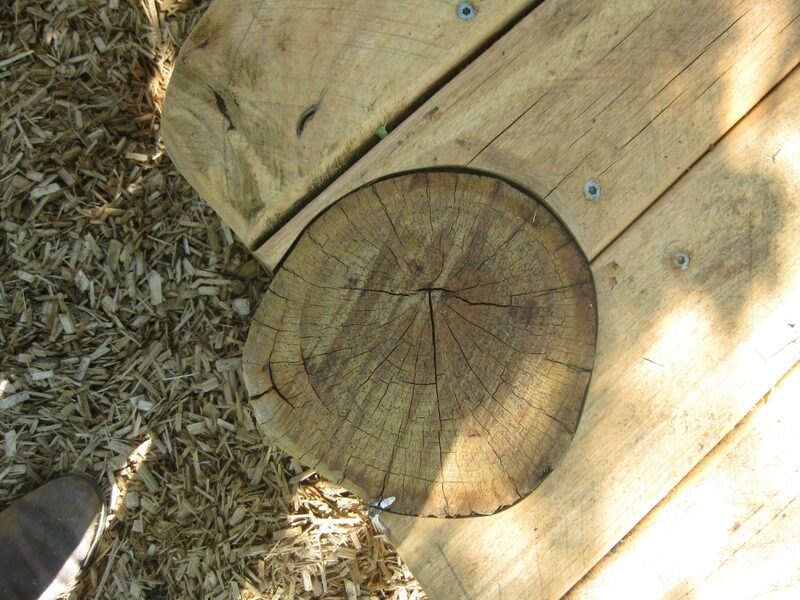 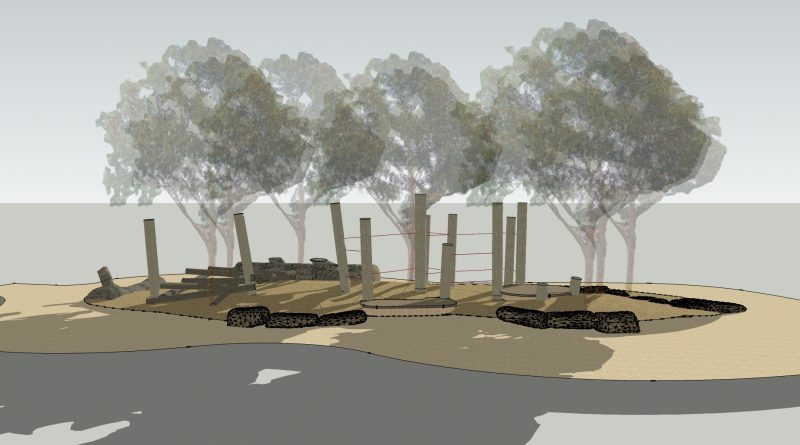 Jeavons Landscape Architects was invited to design a nature-based play space aimed at children in the rapidly growing pre-school demographic (2-6 years) in the surrounding suburbs. 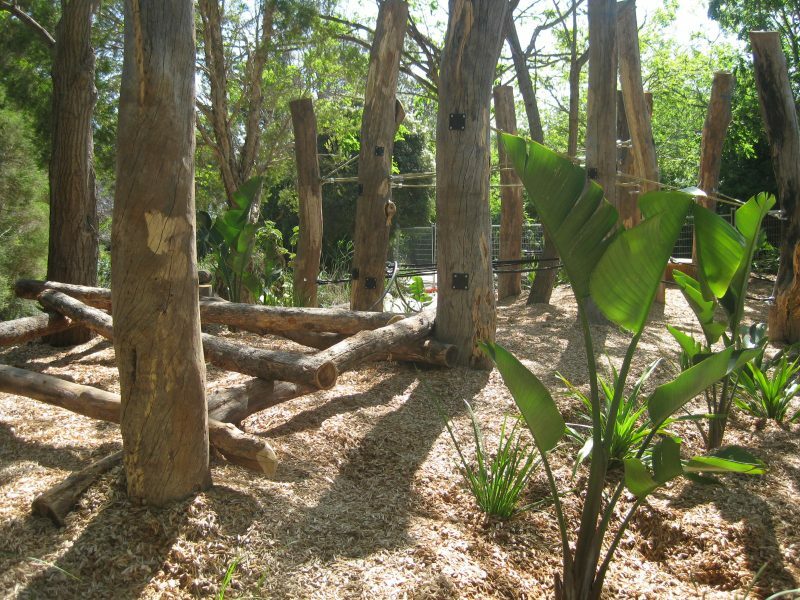 Retention of the existing trees and iintegration with the existing character of the zoo were among the functional objectives. 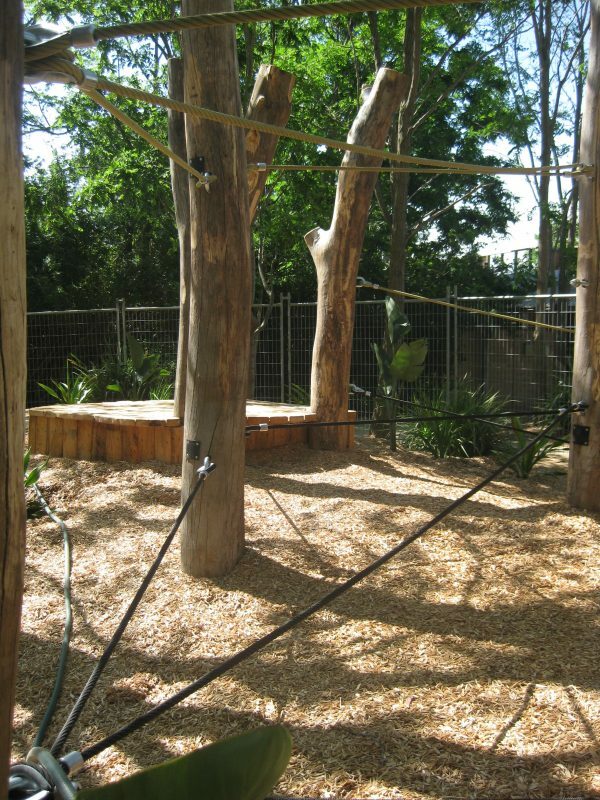 A landmark to draw visitors’ attention to the nearby monkey enclosure was also required, as many visitors frequently bypassed the Vervet Monkeys by accident. 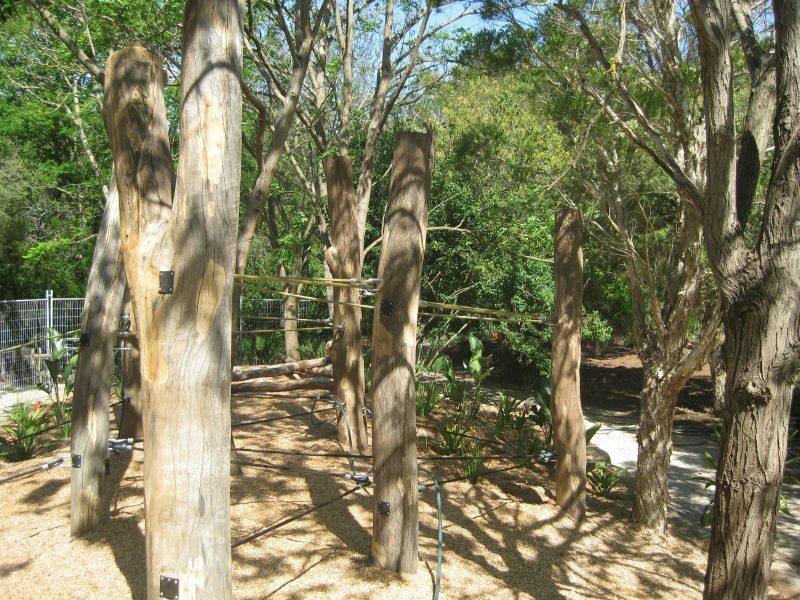 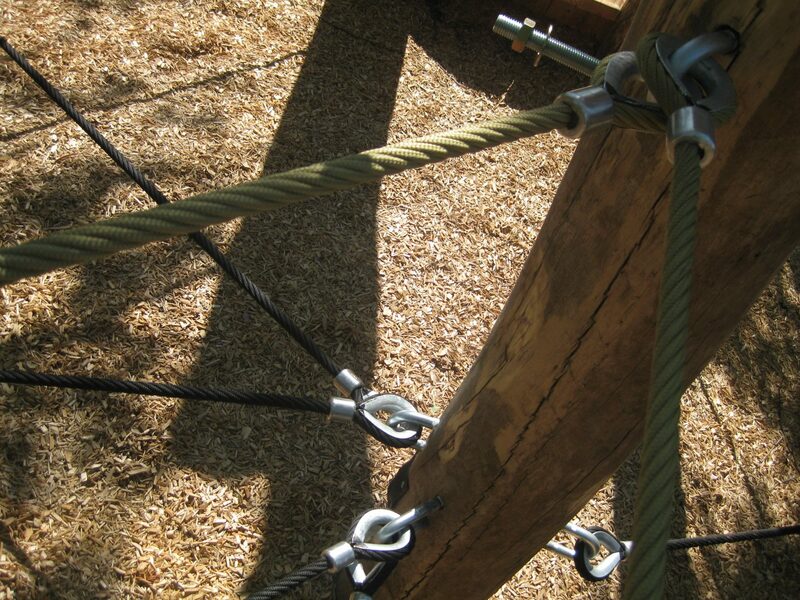 Monkey Play invites children to negotiate changing levels and test their agility and climbing skills on ropes connected to tree posts. 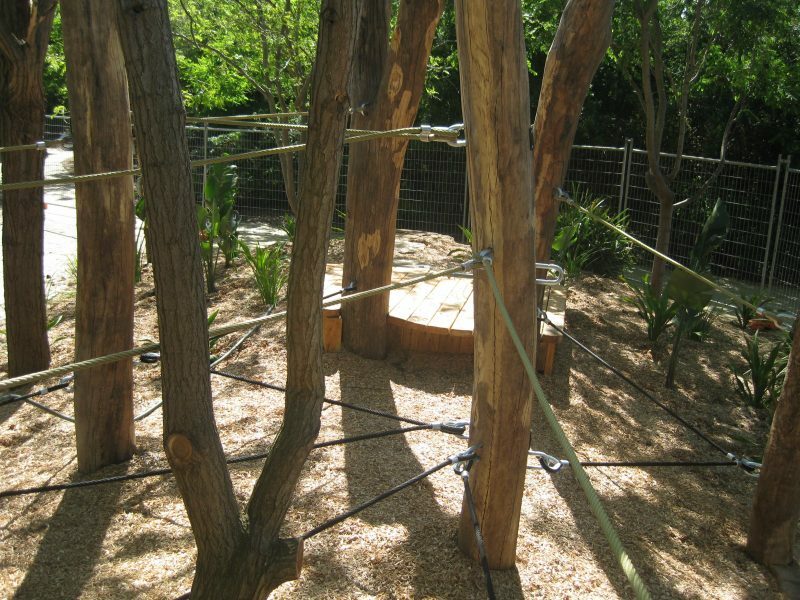 A simple palette of materials was chosen – logs and large, flat boulders placed for steps, tree trunks laid horizontally to form a ‘scramble’, timber salvaged posts set upright with ropes strung between and timber decks – all set amongst bold foliage planting.